December 6, 2007: Hey kids! Guess what? 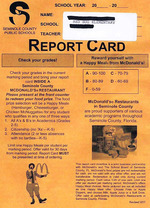 If you study hard and get good grades, guess what you'll get? No, not a college scholarship, sillys. That would be too boring. 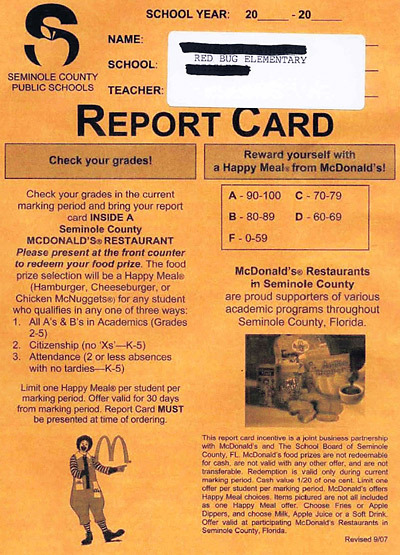 No, if you get good grades on your report card, you'll get a Happy Meal coupon on the card that you can use to get fat...uh...have a free lunch.